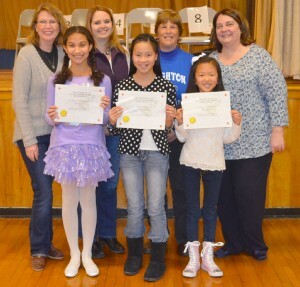 OSWEGO, NY – Leighton Elementary School held its annual spelling bee recently. MaryKate Cloonan captured first place while Ava and Anna Cloonan finished second and third, respectively. Participants from grades four through sixth grade included: Miah Metott, Tristan Clark, Mary Kate Cloonan, Aerin Monette, Dylan Olson, Aiden Keville, Jack Hall, Brandon Sobrino, Phi Nyguyen, Aiden Robbins, Lauren Elkins, Antonio Lombardo, Sasha Loayza, Kurt Loftus, John Alejandro, Ava Cloonan, Ethan Sanders, Xavier Vollmer and Anna Cloonan. 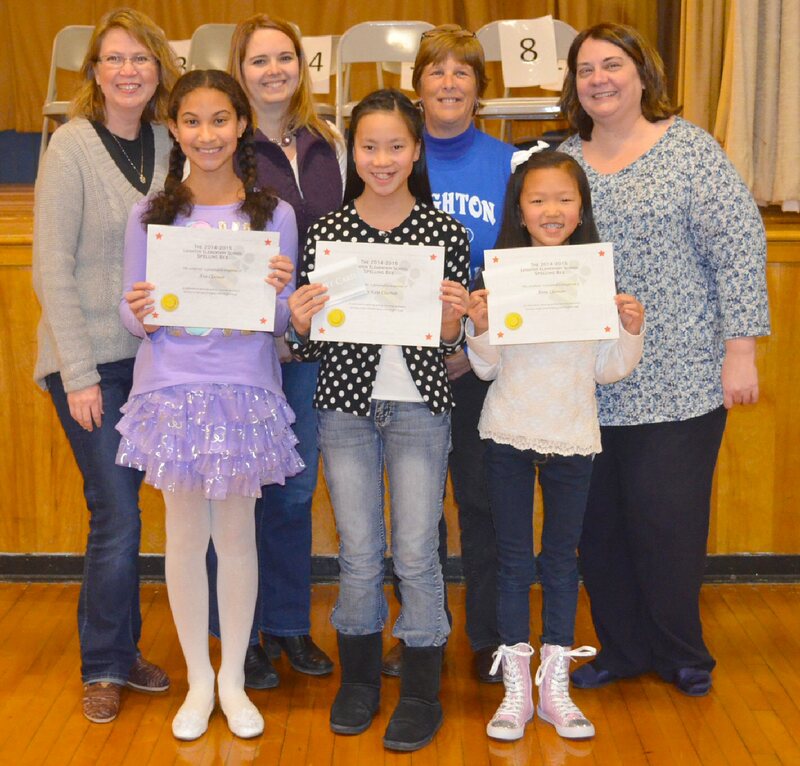 According to Leighton Elementary School Literacy Specialist and spelling bee moderator Amy Armet, each of the participating students received a certificate and the winners received gift cards to the river’s end bookstore in Oswego. The winners also will move on to the district-wide spelling bee to be held on March 21 at 10 a.m. at Oswego High School’s Ralph M. Faust Theatre. From left are: (front row) Ava Cloonan, Mary Kate Cloonan and Anna Cloonan. Back row from left are: Amy Armet; Leighton School literacy specialists and judges Jenn Symborski and Jackie Clarke; and Leighton School librarian and spelling bee organizer Deb McHugh.